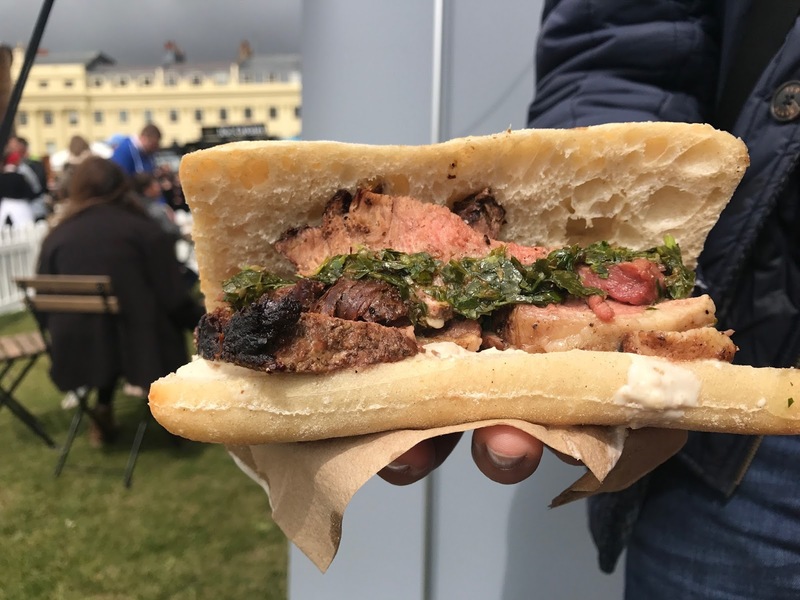 Last weekend, Bank Holiday Monday, we attended the Foodies Festival in Brighton, as many of you may already know, we had won these tickets with Jess and Josh Cook, so a big thank you them for picking us as winners. 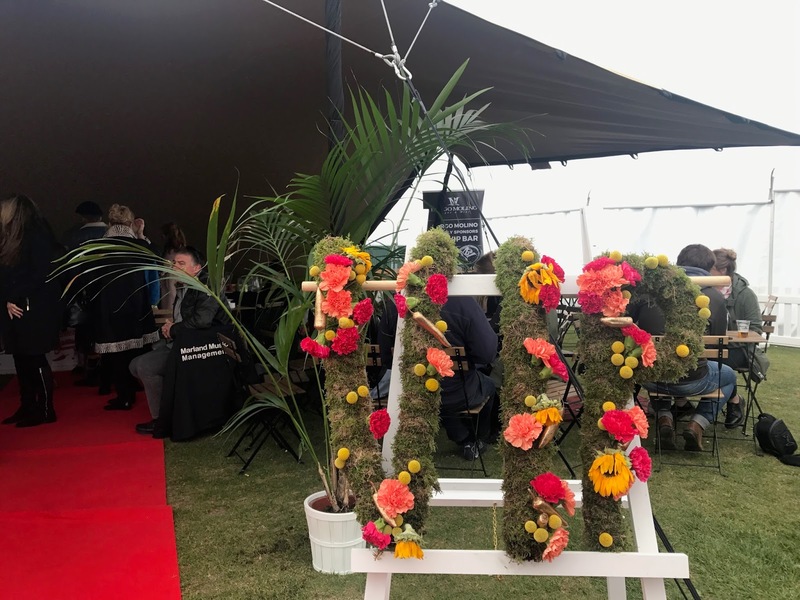 We have attended the Foodies Festival once before in one of their London events last year, also winning tickets with Food Festival Finder, which you can read all about here. This year, we have been blessed with the opportunity to work with Foodies Festival and we have begun our first collaboration with them with a quick giveaway for them for the Brighton Festival, and in return we had been complimented with upgraded tickets to VIP. What does the VIP ticket include, you ask? 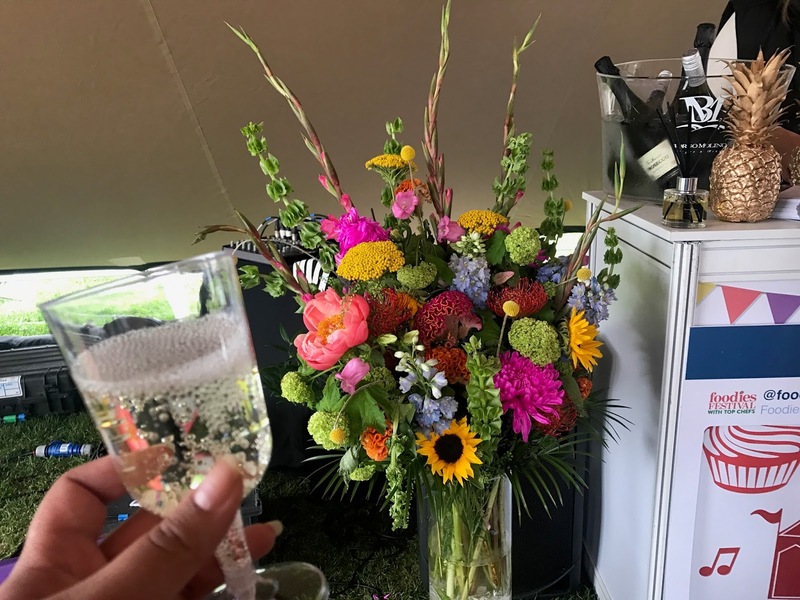 Once we got our complimentary glass of bubbly, we went took on the challenge to find our way around the whole festival before carefully choosing our destination, without a doubt we got called in by the olive samples, free desserts and tasters all around. 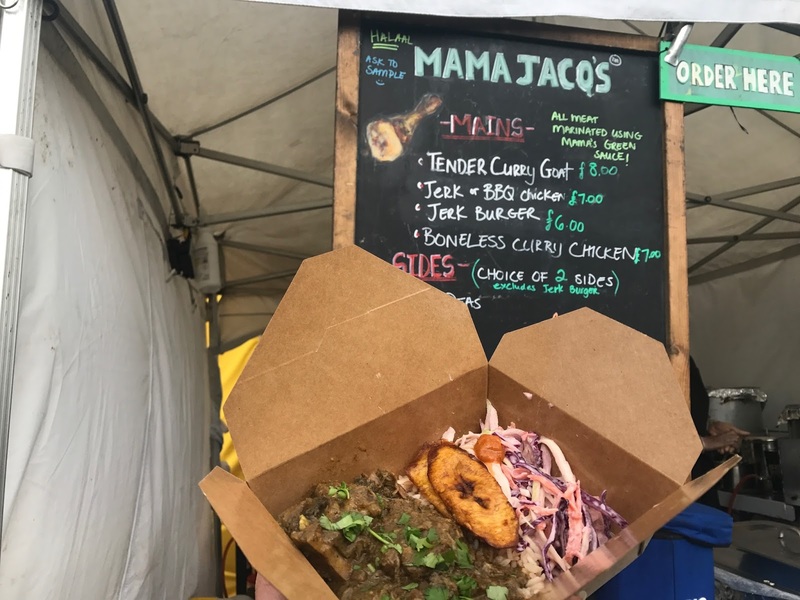 It didn’t take us long to figure out what we wanted, James went for the same stand he went to last year, the BBQ stand where we had this beauty of a manwhich, as I, Jessica, opted for some soul and got the curry goat with a kick of spice. Both seriously delicious and full of flavour, and very filling, which we were both satisfied but disappointing, as we felt we couldn’t eat anymore. Obviously that didn’t last very long as (did you see our first photo) we fell in love with the giant doughnuts and desserts on that beautiful table, so well priced, we were in heaven. To take a break from eating before we fell into a food coma, we had previously booked ourselves to see the cakes and desserts masterclass to watch a fellow foodie baker, Baker On Board, who we follow on twitter, so it was really nice to meet and support him on his debut. 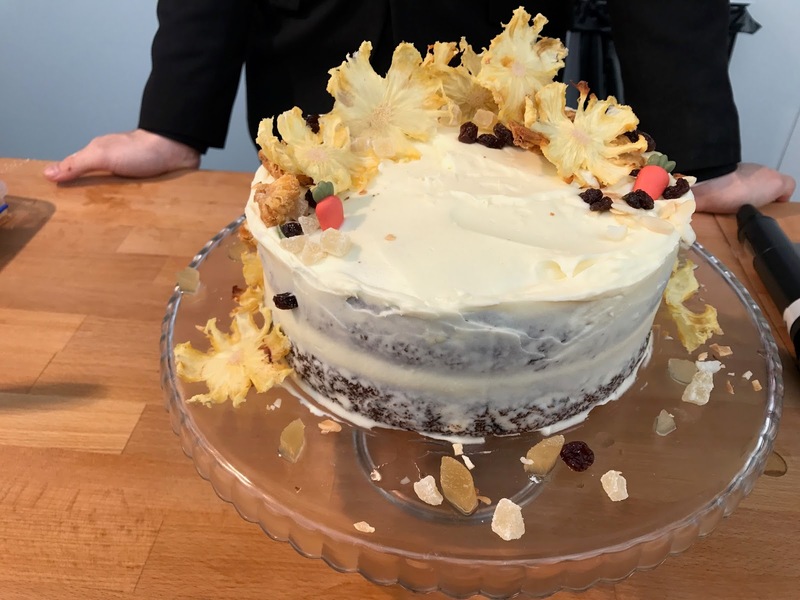 John had made his famous California Carrot Cake, proudly baked and decorated live on stage right in front of us. He was a serious natural and we hope to see more of his work in the near future, so please do check him out and his new website. When the masterclass had ended, it began to drizzle, so we thought it was time to head back home, but luckily I saw Drink Me Chai Latte, as last year I wanted to purchase some but didn’t have the chance, so I opted for buying an actual made drink to warm us up and one of their popular favours, Mango. While drinking and the rain stopped, we then went back around to see the stalls and hat they had to offer and I am so glad we did, as we came across one of the stands we went to last year, Carrington’s Chilichup and I honestly fell in love with their sauce that I just had to purchase another but we upped our chilli level. On top of that, I must have given away so much excitement that he had given us a complimentary product we have yet to try. 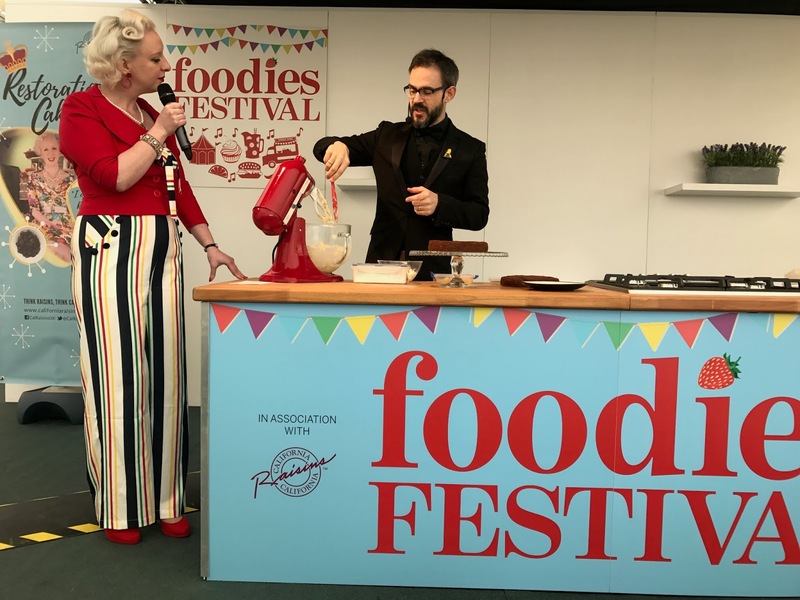 Thank you to Jess and Josh Cook and Foodies Festival for a great day, we look forward to working with Foodies Festival again for the 3 London locations, so look out for those in the near future. This looks like such a fabulous event! That sandwich looks amazing, I need to up my sandwich game! This looks like such a great event! Thos donuts look amazing! 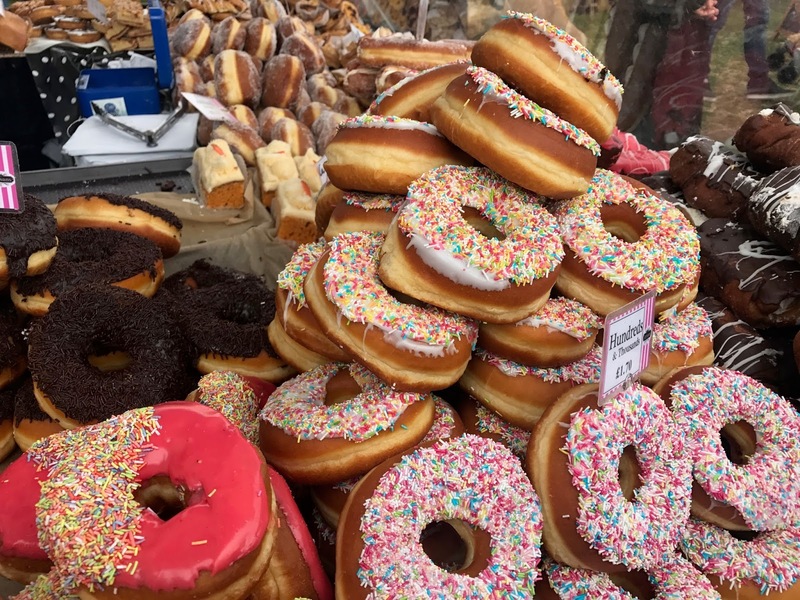 This looks like a great event and wow those doughnuts look yummy! Oh my goddd, this post has made me so hungry. The food looks amazing, and your photos are so pretty!